2015 was a big year for people power. 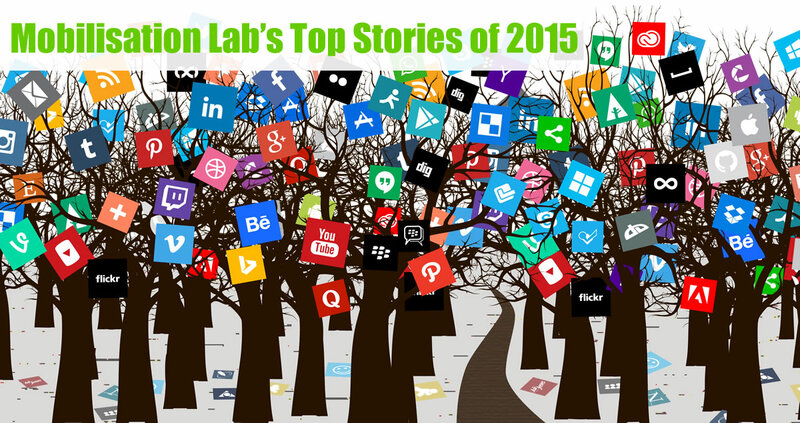 These were our top stories - what what you and other MobLab readers were reading, sharing and talking about. The past year will be remembered for people-powered movements that changed the nature of the climate debate, economic and racial justice, and conservation issues around the globe. Tens of thousands of people joined leaders in Paris at COP21 to demand action on climate change. People took to streets, bridges and kayaks to tell the world that Shell should not drill in the Arctic Ocean—the company later abandoned plans to be the first to drill there. Nearly 1.5 Brazilians signed a petition demanding Zero Deforestation. It’s also a year that will be known for the hashtags of global protests for economic, racial and social justice: #BlackLivesMatter in the U.S., #FeesMustFall in South Africa and Lebanon’s #YouStink are just a few examples. Meanwhile, millions of refugees streamed into Europe and are still arriving in one of history’s largest human migrations. Digital organising tools are accessible to (almost) all, enabling long-simmering frustrations and desires for change to surface as coordinated actions. Meanwhile, organisations are rethinking engagement by distributing and scaling tools for change rather than focusing on their own messages and power. With help from you and thousands more readers both in and outside Greenpeace we endeavored to surface and share stories of creative and innovative people powered campaigns. Here’s what you read, shared and seemed to run with this year. Let us know what you think and please share your ideas for stories and themes to explore in 2016 in the comments below. Thank you! 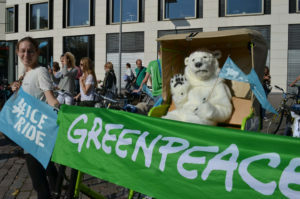 Global Greenpeace campaigners are just some of those exploring what we can learn from open source software developers, tech innovators, and other advocates who foster rapid learning by focusing on sharing, testing and transparency. In this case, it’s all about opening up how, why and what we’re working to change so that we empower more people to start and run meaningful campaigns. 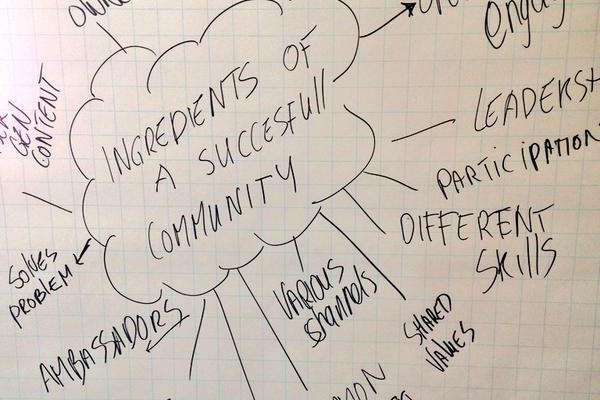 Ingredients of a successful community – Design notes from Open Campaigns Camp 2015. Open Campaigns Camp 2015 brought together seventy campaigners from 20 organisations around the world for a deep dive into what open campaigning is and how to drive it forward. Participants shared their own takeaways: Colin Holtz wrote up 3 Elements of Strong Open Campaigns, strategic campaigner (and facilitator extraordinaire) Allen Gunn shared insights into open leadership in Matt Thompson’s Roadies vs. Rock Stars interview, and Greenpeace’s own Pierre Terras talked about his own experience with open campaigning while working on the Detox campaign in Trusting the People: A Manifesto for Open Campaigning. 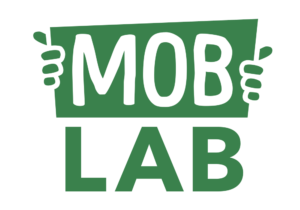 Marisa Franco from the #Not1More movement and Jason Mogus of Canada’s Tar Sands Solution Network talked about open and distributed organising with dozens of campaigners around the globe in an August edition of MobLab Live. We’re seeing more examples – and variety – of organisations giving people tools to run their own campaigns and take on leadership to scale change from community to global perspectives. In 10 Ways People Power Can Change the World, our own Tracy Frauzel and colleague Rachel Collinson take you on a journey through dozens of winning people-powered campaigns in the past 50 (or more) years. The 350.org and Hollaback! approach to distributed campaigning takes us inside two global groups taking on distinct issues—climate change and street harassment of women—in unique ways. But both are navigating a path between top-down leadership and grassroots action that’s helping creative, people-led organising blossom. Forget the big video that seemed to bring Kony 2012 out of nowhere and go Inside Invisible Children’s massive grassroots network to understand how the organisation empowered and grew a network of young leaders—Roadies—who turned the campaign into a global force for change. This past October, people from over 20 organisations and 25 countries around the world gathered at Mobiles X Mobilisation in Berlin to analyse, discuss and learn from one another about mobile technology for social change. Your campaign dynamics shift when thousands of people can not only join you on the ground but also tell their own stories to millions online. That’s part of what happened in the American northwest earlier this year when Greenpeace, local groups and countless people took to kayaks, boats, bridges, shorelines and YouTube to push back on Shell’s Arctic Ocean drilling plans using dispersed digital storytelling to focus global attention. In March, we were joined by Angela Oduor Lungati of Ushahidi & David Millar of FrontlineSMS for a MobLab Live conversation about mobile activism tools and trends. In April, we and our partners at Citizen Engagement Lab released Beyond Vanity Metrics: Toward better measurement of member engagement to help campaigners move campaign (and organisational) metrics beyond quick numbers like pageviews and clicks. The pace at which campaigns evolve online demand that we invest in smart data that supports iterative learning. Moving Beyond Vanity Metrics in Stanford Social Innovation Review covers four key elements of our report. Campaign organisation SumOfUs shared the fully non-vanity metric MeRA (Members Returning for Action) in this slide deck. This 2009 post by Eric Ries, author of The Lean Startup, explores the difference between actionable metrics and vanity metrics. A July, 2015 story in The Intercept detailed how the U.S. Department of Homeland Security had been monitoring Black Lives Matter activists since mid-2014 wasn’t news to many campaigners. But it was a powerful addition to a long list of articles from around the globe about the extent to which surveillance technologies are chilling activism and putting both campaigners and regular people at risk. Our 3-part series on Operational Security for Campaigners by tech analyst and writer Jason Tashea gives activists and leaders the tools needed to create a helpful threat model, better protect online privacy with simple tools, and create organisational cultures that support privacy and security. We’re often asked by campaigners, digital directors and other leaders which engagement and organising strategies they should focus on bringing to their campaigns. Our colleague Julien Burns drew on his experience managing a growing digital engagement team to create one of our reader’s favorite pieces of 2015: It’s all just organizing: How small organizations can punch above their weight in a digital world. Read it to understand how nimble-ness, connected-ness and networked-ness are powerful (and accessible) tools for change at any organisation. We’ve reached a fascinating point in the evolution of technology within nonprofit and social change organisations: everyone we work with at Greenpeace and beyond seems to agree that digital has a critical role to play, but many struggle to find the staffing models and structures that enable their technology to truly thrive. Sam Dorman, a longtime MobLab collaborator and nonprofit technologist, has been developing a product model approach to data, web and other large NGO tech projects. Sam shared some of what he’s learned applying “product” principles in Product teams: The next wave of digital for NGOs? It’s a fun, approachable read for anyone who is (or will be) working on the “next big tech thing” in their organisation.